About one-third of all traffic deaths involve a drunk driver. Rates of drunk driving accidents and fatalities have gone down, but they remain a major problem. Drunk driving causes deaths in Hawaii every year at a rate higher than the national average. Whether or not the courts find a drunk driver criminally liable, Hilo attorney Louis Mendonca helps victims of drunk drivers and their families find justice and accountability through civil claims for compensation. See below for information about lawsuits against drunk drivers in Hawaii, and contact Louis P. Mendonca, Attorney at Law, if you have been hurt in an accident caused by a drunk driver. 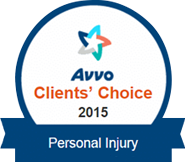 Proving that the defendant was negligent is a critical part of any personal injury case. When it can be shown that the defendant broke a law that was designed to protect people from harm, and someone suffered harm because of that violation, this is often enough to establish the defendant’s negligence. In the case of a drunk driving accident, producing evidence of the defendant’s DUI conviction can help establish negligence. However, even if the defendant is not convicted or even arrested, a personal injury attorney can still use the fact of a defendant’s drunk driving as evidence of negligence. The standards of proof required in civil and criminal courts are very different, so even if a drunk driver is not held criminally liable, that does not mean he or she cannot be held civilly liable to pay compensation to the accident victim. 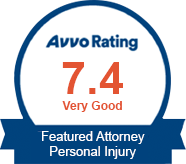 In most personal injury cases, the focus is on compensating the injury victim for losses suffered rather than punishing the at-fault party. However, in certain cases it is appropriate to award additional damages to punish the defendant and set an example for others of the consequences of misconduct that society will not tolerate. Punitive damages are appropriate when the defendant acted with gross negligence or with a reckless disregard for the safety of others, and drunk driving may fall within this category. Hawaii courts hold victims to a higher standard to justify punitive damages, but attorney Louis Mendonca is capable and willing of going this extra step in appropriate cases for the benefit of his client and in the interests of justice. Hawaii liquor laws make it illegal to sell alcohol to a person under 21, to a person who is already under the influence of alcohol, to an alcoholic, or for consumption in a vehicle. A business which violates these laws may be liable to a person who is later injured by a drunk driver. Proving so-called “dram shop liability” is often challenging, but Louis Mendonca is a skilled and knowledgeable auto accident attorney ready to explore every avenue to hold all responsible parties accountable and recover maximum compensation for victims who have been hit by a drunk driver. If you are injured by a drunk driver, you may be able to collect benefits from your PIP no-fault coverage, as well as damages from the at-fault driver if your injuries were serious. For help securing compensation from your PIP coverage, the other driver’s insurance, or a hotel bar, restaurant or nightclub, contact Hilo personal injury attorney Louis P. Mendonca at 808-961-6690 for a free consultation.